We are experts of providing Open Source development solutions to our Indian as well as international clients. We can provide you PHP Development, Joomla development, Wordpress development, Drupal development. We develop customized e-commerce applications, which are robust and user friendly. E-commerce web sites are basically for selling and buying products, and so it should be attractive enough to keep the visitors bound to it. WordPress Development is an open source blog publishing application powered by PHP and MySQL which can also be used for basic content management system. It has many features including a user-friendly workflow, a rich plugin architecture, web standard, usability and an advanced templating system. If you are looking for a wordpress development? 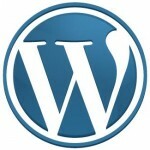 GR brains is perfect place for you that we offer user friendly WordPress framework based websites. Idaksh has experienced professional of wordpress development with highly qualified developers who provide plenty of well designed wordpress themes in the wordpress world from which you can choose the one you like most. We offer create search engine friendly blogs which is helpful to complete in this ever growing online business area. We deliver fast, secure and reliable Drupal based Web Development services. Idaksh offer full range of bespoke Drupal development services. We have skilled Drupal designers and developers offer a full range of tailored services including simple website to advanced Drupal web development services. 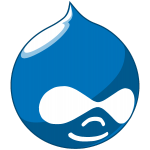 We are able to provide a wide range of Drupal solutions to suit your needs. We specialize in bespoke Joomla Website Design & Development services to meet all your web requirements. Reliable Joomla expertise to ensure you grows your business online. Are you looking for Joomla development or customization services for your business, we can help you to create your website development in Joomla technology.